Keeping your family healthy and happy is definitely a top priority. Whether it is just you, a spouse, or you have lots of children at home, health of any kind is crucial for your family’s ultimate well-being. 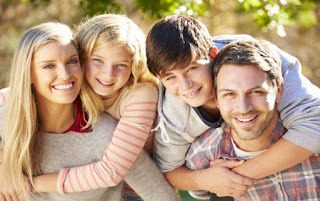 While it is relatively easy to find tips on managing your family’s physical health, finding ways to manage mental health for a family is a little tougher. To get you started on the right track, check out these mental health tips that makes a happy family. If you have a family, it is important to spend plenty of time together. Your children, especially, need that face-to-face time. It is in these moments that they will tell you about their day, their feelings, and their innermost thoughts. If you do not make time for this, you will miss a lot of the cues and signals that might mean your children need additional support. But it is not enough to just be with them, you really have to listen to them too. They want to tell you about the drama they experienced in school? Their play during leisure hours (even for the hundredth time)? Their school? All you should do us listen. Do not be in the mood to advice or a scold, but just listen to what they are saying. This has been proven to be an effective way to make your children feel heard, safe, and secure in their own home and their own world, which is a huge step to keeping their mental health intact. Children rely on their peers for a lot of choice and decisions, and that is okay. But since all children are different and you cannot choose their friends for them, it is also important to make sure that they are surrounded with positive influences in their lives. Make friends with other families that share your values. Invite family (if they are positive) over and into your lives. As your kids grow, they may or may not want to let you into their personal space. This is normal. But to make it through these times, make sure that positive people are available to help them through when you are not around. Families that do activities together are among the happiest and healthiest. This might include playing sports, seeing movies or plays together, visiting museums, or taking day trips. It does not matter what you do, but make sure that at least some of your activities are done together on a regular basis. This fosters trust, encouragement among each other, and opens communication. You do not have to do everything together, and honestly you shouldn’t. But allowing some time for togetherness is a great option for staying mentally healthy. Mental health is a crucial part of overall wellness in a family. Even though it can be tough, make it a priority in your family’s life so that you people can be happy. Use these mental health tips as a guide, and protect your family for a lifetime of happiness, love, and good health.